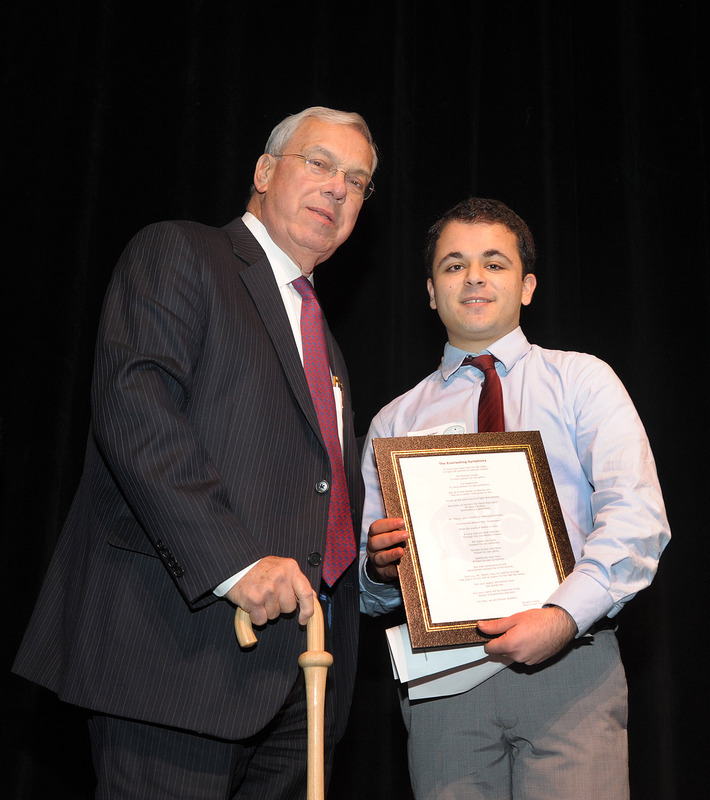 Mayor’s Youth Council Representative and former Summer Jobs Student Benjamin Haideri introduced Mayor Thomas Menino at the 20th Anniversary of the Mayor’s Youth Council Celebration. When BBA President Paul Dacier and Executive Director Rich Page attended the 20th Anniversary Celebration of the Mayor’s Youth Council (MYC), they saw a familiar face introducing Mayor Thomas Menino. That face was Ben Haideri’s, who represents his community of Roslindale on the MYC and interned at the Suffolk District Attorney’s Office through the BBA Summer Jobs Program last summer. Beyond the Billable sat down with Ben to talk to him about his experiences with the MYC and BBA Summer Jobs Program. While finishing up his senior year at Boston Latin Academy, Ben is also enjoying his second year serving on the MYC. As a representative, Ben participates in two meetings each month, identifies issues affecting his community, such as integration, and works with other representatives to brainstorm solutions. When we asked him to tell us a highlight from his time on the MYC, he mentioned his speech about the important of getting youth involved in government. It’s probably worth mentioning that the speech was given in front of 3,000 people, including mayors from across the country, at the National League of Cities Conference. It’s also worth noting that Ben’s position was funded thanks to contributions to the Boston Bar Foundation, which provided funding for 13 positions for Boston Public High School students to work at nonprofit organizations, government agencies, and courts last summer.